Anyone looking for a prime example of why the American people increasingly detest the mainstream media need look no further than the Washington Post’s “reporting” on President Donald Trump’s visit to Nashville on March 15. While many in the insular world of the GOP establishment may not think symbolism matters, the Post sure does. Their effort to conceal the meaning of the President’s homage to Andrew Jackson and the calculated distortion of the facts were all designed to deny President Trump any value from what was a remarkable and important event. On March 15, President Trump visited the grave of the seventh president, Andrew Jackson, on the 250th anniversary of his birth. Jackson, the founder of the modern Democrat Party, was a bold leader who set the tone for much of 19th century America and whose steadfast devotion to the American people still resonates today. The Post, however, could only muster a condensed version of President Jackson’s legacy, all to fit into the “social justice warrior” motif. 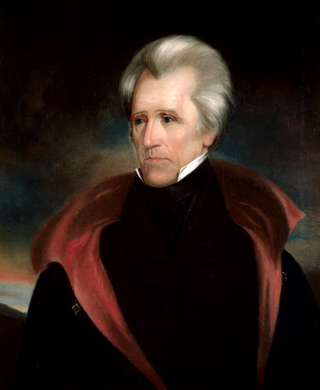 You see, Jackson supported slavery — in 1830s America where virtually everyone in the political world did. And, he forced Indians off land in the south and sent them to Oklahoma. All true. And, in the context of modern American life, meaningless. What the Post failed to mention — not a single word — was that Andrew Jackson killed the central bank of the day, the Second Bank of the United States. He also paid off the national debt. He so hated the bankers and their manipulations that he went to war with the large banking houses of Wall Street and Europea— and won. Funny, why would the Post not mention this; especially when on the same day the current central bank and its puppet chairman were announcing interest rate increases? Might it be that the goal of the central bank cabal is globalism? Could it be that the “global administrative state” envisioned by the internationalists for which the Post daily propagandizes is harmed by telling people that the bankers have been beaten before and that President Trump is embracing that example? So, in a story buried on the back page of the front section, the Washington Post elevated a racial issue in order to imply that the President is praising a slaver while hiding the real meaning of his visit; opposition to globalist-banker dreams of world governance. Mr. Bezos can claim First Amendment protection for this tripe but any honest person now clearly knows that the Post is not worthy of any consideration. What it says or advocates is of no value and any “Republican” who bends to it is showing themselves as quislings. Bill Wilson is a former member of the Americans for Limited Government Board of Directors and a senior features contributor.